1860 Born on July 24 in Ivančice, South Moravia. 1879 Mucha left for Vienna to work as a scene painter. 1883 He was invited by Count Khuen Belasi to create decorations for the Emmahof Chateau. 1885 Mucha, sponsored by Count Khuen Belasi, started studying at the Academy of Fine Arts in Munich. 1887 Mucha left for Paris to pursue studies at Académie Julian in Paris. 1892 Mucha was commissioned to illustrate Charles Seignobos’s Scènes et épisodes de l’histoire d’Allemagne. 1894 Mucha designed his first poster for Sarah Bernhardt starring as Gismonda in Vic-tor Sardou’s drama. This success led to a 6-year contract with “the divine Sarah”. 1896 Mucha’s first decorative panels – The Four Seasons – were printed. 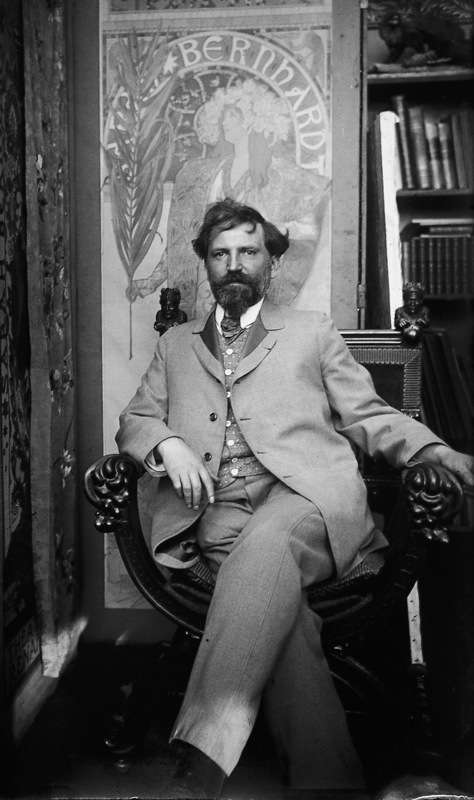 1897 In February, his first solo exhibition in Bodinière Gallery in Paris took place, presenting 107 Mucha’s works, which was followed, in May, by an exhibition in Salon de Cent, exhibiting 448 works. A selection from the latter exhibition was presented in the Topič Salon in Prague. 1899 Mucha accepted the Austro-Hungarian government’s commission to participate in the Exposition Universelle of 1900 in Paris. 1900 Mucha started his work on the design for the Fouquet Jewellery Shop in Paris, producing one of the most outstanding Art-Nouveau interiors. 1902 Documents Décoratifs, an artist handbook, was published. 1905 Figures Décoratifs were published. 1906 Mucha left for the United States where he worked as a teacher and at the same time painted a number of portraits. 1910 Mucha returned to Prague to work on his Slav Epic. 1911 Mucha completed the decoration of the Mayor’s Hall in Prague’s Municipal House, which was the last significant work of art in the Art-Nouveau style in Prague. 1918 Mucha designed postage stamps and banknotes for the newly established Czechoslovak Republic. 1921 A successful exhibition of Mucha’s works in the Brooklyn Museum in New York. 1928 The completed Slav Epic cycle was officially presented to the Czech people and the City of Prague. 1931 Mucha designed a stained-glass window for St. Vitus’ Cathedral in Prague. 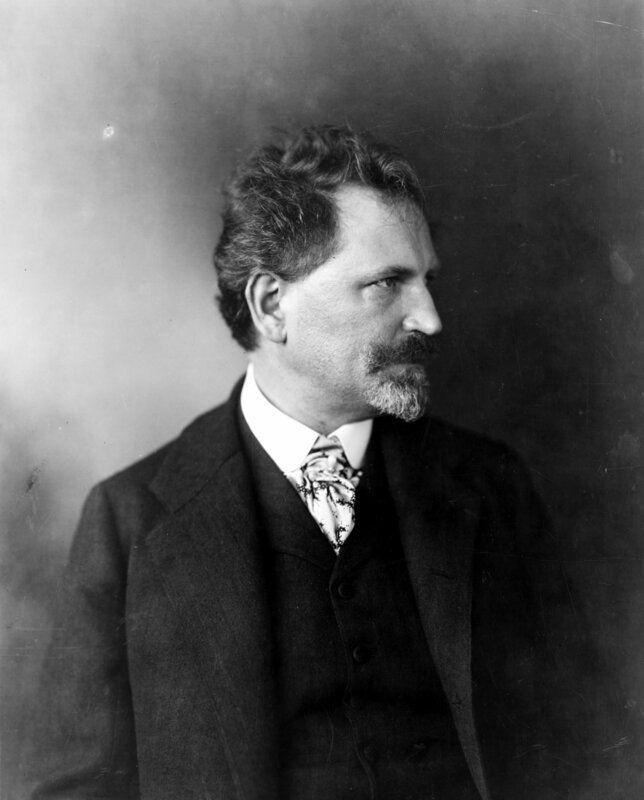 1939 After the German occupation of Czechoslovakia, Mucha was one of the first arrested by the Gestapo. Although he was allowed to return home, his state of health deteriorated rapidly and on July 14, 1939, he died in Prague. Mucha was buried in the Vyšehrad cemetery Slavín.